If you’re a seasoned worker, you probably know that this is a federal tax on wages. Two taxes, really. FICA stands for “Federal Insurance Contributions Act.” This is the law that funds both Social Security and Medicare through payroll taxes. Employees share this cost with their employer. Your FICA contributions earn Social Security credits. For 2016, you need to make $1,260 in wages to earn one credit. You can earn up to four credits a year. Most of today’s workers need at least 40 credits to apply for retirement benefits. That’s ten years of work. Of course, you have to be old enough to retire too! Social Security also pays benefits to workers who become severely disabled, and to survivors when a worker dies. The number of credits you need to qualify for these benefits depends on your age when you become disabled or die. You can get Social Security retirement benefits as early as age 62. If you retire before your full retirement age, your benefit will be smaller. Your benefit will be highest if you put off retirement until you’re 70. We base your retirement benefit on your average earnings over your working years. Visit our benefits planner to find out more. Your FICA contributions also pay for Medicare hospital insurance. Medicare is the country’s health insurance program for people age 65 or older. People younger than 65 with certain disabilities or permanent kidney failure can also qualify for Medicare. You’ll find everything you want to know about Medicare at Medicare.gov. If FICA were a person, she’d have plenty to juggle! Social Security covers an estimated 165 million workers. The program pays benefits to about 40 million retired workers, 9 million workers with disabilities, and 6 million survivors of workers who have died. It also helps about 5 million dependent family members. The equivalent law for self-employed workers is the “Self-Employment Contributions Act,” or SECA. If you’re self-employed, you pay both worker and employer contributions toward Social Security and Medicare. 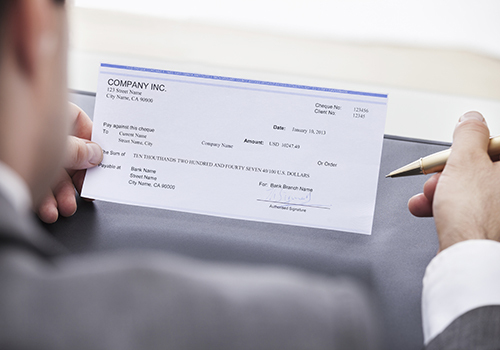 The employer share counts as a deductible business expense. We make it easy to get estimates of your future retirement, survivors, and disability benefits. By creating a my Social Security account, workers have 24-hour access to their personalized Social Security Statement. Besides showing your future benefits, the Statement lets you check to be sure the earnings information we have for you is correct. Create your account to take advantage of this invaluable financial planning tool. It’s free, fast, and secure! If there’s someone in your life who may be wondering who FICA is, let them know too. This entry was posted in Taxes and tagged Benefits Planner, deductible, disability benefits, Federal Insurance Contributions Act, federal taxes, FICA, finances, health insurance, medicare, my social security account, my SSA, payroll, retirement benefits, SECA, Self-Employment Contributions Act, Social Security benefits, Social Security credits, Social Security statement, survivors benefits, wages by J. Jioni Palmer, Associate Commissioner, External Affairs. Bookmark the permalink. I also think they had Penny ask this on Big Bang Theory years later. If congress would just pass the FAIR TAX bill, we wouldn’t have FICA taking money out of our pay check. Really? No Social Security anymore, eh? No, Social Security still there, it is covered by the Fair Tax. Look it up, you might like it. How about doing away with the Windfall Elimination Act, which steals half of my SS annuity each month. There are two bills in the “do nothing” congress to repeal it. Then we can talk about tweeking the system. Strange ,they in the government,always complain about SS Benifits. Well, for an individual, like me ,who worked 50 yrs.WITHOUT any state of Federal help. Had my FICA paid up by July every year. The government should thank us,who worked ans employed people . Then, I would like to hear Clinton,or Obama about the garbage package they offer. Wise up America! Soon it will be to late. Another 4 yrs. like the present admin.will bankrupt the country. My daughter passed away at 31 years of age. She had tens of thousands of dollars in her account. She never filed a claim on her account. Yet, Social Security stole her premium dollars from her annuity- Yes ANNUITY not entitlement.. No reimbursement for unused premiums. No death benefit. The system is in bigger trouble then we all thought when you steal money from the working class people and let the elite pay nothing. Take the cap off of the FICA taxes and here’s what you do: Make everyone on Social Security/Medicare categorically duel eligible for Medicare and Medicaid; Death benefit of unused premiums; Develop parts for Dental, glasses and long term care; no exemption for FICA, everyone pays;. et al. It can be fixed only if we the people get angry enough. Can you tell us more about this . Sorry that your daughter passed away at such an early age. Some misconceptions need corrected, however. If she had worked and paid in the max for 10 years there is no way her contribution would have amounted to tens of thousands. Evidently she was not married so no $255.00 death benefit. And if she had no children then no survivor’s benefits either. It was her life choices that resulted in no payouts from her account. No one stole anything. She had no annuity, she had insurance and like with any insurance there are those who collect and those who don’t, it’s called sharing the risk. And why should those on MEDICARE also be on MEDICAID or welfare? Those getting MEDICARE for the most part are there as an earned right, welfare is not earned. Remember the more that pay into FICA the more that can potentially collect ending up in a zero net gain or loss in the long haul. John, so well said. I hope that you are in a position to continually educate people on this topic. As well as the Reagan administration, I have yet to hear that money has been paid back into the SS account. Carter, Social Security is a pay-as-you-go system. Social Security taxes collected from today’s workers pay the benefits of today’s retirees. Any funds in excess of what is needed to pay today’s benefits are invested in special issue, U.S. Government, interest-bearing securities. This investment – the purchase of U.S. Government securities – is what constitutes the “borrowing” that people are sometimes concerned about. Any funds that have been “borrowed” from the Social Security Trust Funds have always been paid back in full, plus interest. Please check out our Trust Fund Frequently Asked Questions page for more information. I am with you , but our gov. will never do it. Hello! You need to read the Supreme Court’s 1960 case of Flemming vs. Nestor, in which the Court declared there is NO “special” saving’s type account for each enrolled worker. Social Security is an insurance program. It says so right at the top of your application. It is to insure against a percentage of lost working income whether that be due to retirement, death or disability (as defined by Congress and the courts). When you have insurance you pay into the pot not knowing if you (or a loved one) will ever collect. This is a program, like all insurance programs, where funds are pooled for eventualities. That is the nature of all insurance. It is not an annuity with a private investment account that you can take a lump sum from. There is strength in pooling that cannot be obtained by self investment. Most people who do qualify use up their contributions with interest…it doesn’t stop when these run out. There have to be tradeoffs, including some who invest for the greater good even if it works out that they don’t personally get much out of it. Let us remember that our national motto “e pluribus unum” means “out of many one”. That ability to see beyond ourselves used to represent the better angels in America. This doesn’t mean that the program is crooked. If you want more, you will have to pay more or find other financing. If you want changes, Congress will have to legislate them. No President has outright control over the programs either. The agency can only act on rules and regulations derived from Congress. These are facts. Unrelated unhappiness with politicians or parties, or political axes to grind just muddy the water and create confusion about what the program actually represents. There are no conspiracies involved. It is what the people you sent to Congress legislated. So tell me why is there the GPO/WEP. I worked 9 nine years before I became a civil servent. If you don’t know that’s where they steal $ 428.00 per month. Please explain. To ensure that most Social Security beneficiaries receive enough income on which to live, Social Security benefit formulas are weighted to be most favorable to those that worked all their lives at relatively low wages. As you earn more, the benefit amount you will later receive does increase, but such increases begin to accrue more gradually. While the above computational formula was designed to help those with low wages, it unfortunately created an unintended windfall for those that worked most of their lives at government jobs that did not participate or pay into Social Security. The effect was that government employees often essentially minimized their contributions to the Social Security system, yet when they did later qualify for Social Security, they often received the highest rates of return possible on those dollars they had paid in. It was during the Reagan administration that the above unfairness was addressed. Today if you receive a pension based on employment that didn’t pay into Social Security (and you don’t have 30 “substantial years” of paying into Social Security), the favorable computational formula for low wage earners is modified and your benefit rate is reduced by what SSA calls the Windfall Elimination Provision (WEP). Also, if try to collect Social Security as the spouse or widow of a worker that paid into Social Security, your years of employment where you did not contribute to the Social Security system do not go unnoticed and SSA reduces your benefit by 2/3 the amount of your “non-covered” pension. This reduction to a spousal or widow’s benefit is called “Government Pension Offset” (GPO). Hello William, Thank you for your question. Individuals that worked for a federal, state or local government agency, a nonprofit organization or in another country, are sometimes eligible for a pension based on earnings not covered by Social Security. If this is your situation, your future Social Security benefit amount could be affected. Care Act actually affordable? Insurance companies have been pulling out. Time will tell. Social Security can be considered a ponzee scheme which works as long as a lot more people are putting in as compared to those taking out. When initiated it was a sixteen to one ratio. I’ve heard that it is now closer to six to one. Thoughts? Yes it is insurance…however the US people are its backers of that insurance it is not based on a means of profit but only of sustaining the nations elders, widows, and orphans.When your retired its time to enjoy life SS is to provide a basic income to the having a dignified life as I understand its based. Understanding that is or our solidarity as one! Great job explaining that. People just keep complaining before they understand what SSA is all about. I am sorry though your daughter passed away. Working in accounting I knew who FICA was. and why business want Social Security gone from paychecks. Since they business has to match this payment for each and every employee who work for them. The retirees benefit from their deductions but also from the matching payment from the business who also contribute. IF THIS IS A FINANCIAL ACCOUNTING EXPERT, MAYBE HE/SHE SHOULD HAVE TAKEN A FEW ENGLISH CLASSES. HOPE HE/SHE NEVER WRITES MY SOCIAL SECURITY CHECK! Thank you for writing out the facts of the situation Tom. I appreciate it. Does anybody knows what exact period the SS take for the calculation of your retirement income? the last 10, 15, 20 years of work? Hi Maria. For retirement benefits, we use the individual’s highest 35 years of earnings to compute monthly benefit amount. The best way to start planning for your future is by creating a my Social Security account online. With my Social Security, you can verify your earnings, get your Social Security Statement, and much more. Also, we have a variety of benefit-calculators to help you plan for the future. Hope this helps! SSDI turns into regular social security when your 62 yrs.or 66for fullretirement age based on when you were born . Disability benefits under the Social Security Disability Insurance (SSDI) program, will automatically convert to retirement benefits, when beneficiaries attain their full retirement age (currently age 66). The benefit amount will generally remain the same. Hi David. When you receive disability benefits under the Social Security Disability Insurance (SSDI) program, we will automatically convert your disability benefits to retirement benefits, when you attain your Full Retirement Age (currently age 66). The benefit amount will generally remain the same. What about those whom are collecting SS or SSI that are not fully justified. That don’t even make sense and really you have no clue what your ragging on. Also please don;t response you may appear more than just dumb! Carter, I would suggest that re-read your own post. Talk about looking dumb, your use of the English language left something to be desired. Your spelling and correct tense of words might possibly show how dumb you are. Please let me know why I pay double Medicare taxation. The amount debited from my Social Security retirement check (I am 69 years old) and the 1.45% deducted from my paychecks (I am still working thanks God). I don’t receive double Medicare benefits. I understand the Social Security deduction because it increases my benefits, but I am flabbergasted with the double Medicare taxation. You pay a mandatory federal TAX to the IRS towards Medicare AND Social Security when working. Nothing is as certain as death and taxes!! I don’t understand where you get double taxation for Medicare? Some who have higher income pay more for Medicare. It depends on your income declared on your taxes. If you are still working, you are still going to have FICA withdrawn from your paycheck no matter what age you are. Lucy, the amount deducted from your retirement check is a Premium Fee for receiving Medicare, it’s NOT a TAX. You’re being charged it because your income is high enough that you don’t qualify to have your state of residence post it for you. Some people, such as those that are disabled or too old, get help paying for it, don’t have that Premium deducted. For instance, I suffer a chronic illness and can’t work so my State posts the Premium for me. However, there was a period when I COULD work and those paychecks had FICA deducted, but NOT the Premium because it was a trial period to see if I could handle a long term job. I couldn’t. I got sick again after 6 mos but that little bit of time meant that my benefits went up the following year by $15. I don’t know if you look at your Benefit Statements all that closely but if you don’t, do it now and you you might see how much your working wages increase your benefits. If they’re NOT increasing your benefits you might want to go go check out the benefits calculator that’s online here, on this site. I don’t have the link but I’ll go find it and post it as a reply. I’m glad you’re still able to work! What I wouldn’t give for that blessing!! I’m only 53 and I’ve been disabled since I was 25. I qualified for SSDI because i was earning a paycheck since age 15 to support a disabled parent so a blessing in disguise, right? The BEST way I see for you to check on your benefits and ANY confusion or questions you might have, is to create an account. It seems easy and they’ve made it even easier because they used to make it mandatory that one HAD to have a cell phone to verify your account. Not any more. This way, by creating your own account, you’ll know that what you’re earning is actually going into YOUR account and no one else’s. There’s help online if you need it. Carter you have proven your point by incorrect use of words such as “your” when you meant “you’re” and “response” when you meant “respond”. Apparently you don’t know how to use your keyboard either as you used a semi-colon instead of an apostrophe. So you are just as dumb as those you are “ragging on”. No question is dumb unless it’s not asked. If someone is just not using punctuation right, that’s just ignorance of grammar that can be corrected. There’s no need to be rude. She’s simply asking a question. about 8 cents taken out for SS and Medicare. My boss paid the same FOR ME. When I had a business the last 24 years, I, myself, paid about 16 cents on every dollar of profit. Maybe I don’t get a HUGE SS benefit but it keeps me alive. Medicare paid for more than $200,000 in benefits for me in 2014. Thanks for SS and Medicare!! And by the way, since I am single, no death benefit—I have already paid for it myself.!!!!! It’s my opinion that once someone starts drawing SS or SSDI, they should be exempt from paying Federal Taxes. Let them find the $$ elsewhere. We need every bit of our checks! Depending on whether or not you have additional income, say from investments you created before you became disabled that you’re now drawing on, if your SSDI or SS is your ONLY income, you generally DON’T have to pay income taxes on it. I’ll put myself as an example and say that my income from my SSDI is WAY below the minimum for filling as a single individual with no dependents to declare and no other income assets. I’m also receiving Medicaid and Food Stamps because without them I wouldn’t survive. Hi Jessie. You must pay taxes on your benefits if you file a federal tax return as an “individual” and your “combined income” exceeds $25,000. If you file a joint return, you must pay taxes if you and your spouse have “combined income” of more than $32,000. If you are married and file a separate return, you probably will have to pay taxes on your benefits. See our Benefits Planner: Income Taxes and Your Social Security Benefits for more information. The ignorance of the American populace is astounding regarding FICA & SECA. I do not understand this at all. I am a widow. Why am I paying FICA and Medicare since I’m already drawing and on both and still working at 70….? Hi Vince. As long as you continue to work, even if you are receiving benefits, you will continue to pay Social Security taxes on your earnings. However, we will check your record every year to see whether the additional earnings you had will increase your monthly benefit. If there is an increase, we will send you a letter telling you of your new benefit amount. Thanks! LOL that is so funny we should scream! Most deductions on paychecks are part of a Monstrous Ponzi Scheme by the government for 40 years or more! I was hit by a car and am now permanently disabled. I am on SSDI. When I become retirement age, will I need to apply for SSI too? Will I lose my SSDI? Will I be receiving both? I worked for several decades. Hello Andy. Your Social Security Disability benefit will automatically convert to become retirement benefits when you reach your full retirement age. Current law does not allow a person to receive both retirement and disability benefits on one earnings record at the same time. For more information, please see our Frequently Asked Questions. WELL, THANK GOD SHE CAN WORK and she was not born an ADULT DISABLED CHILD who is physically disabled! If she was born an “adult disabled child”, then she COULD NOT MARRY any abled bodied person that she wanted to= OR SHE WOULD LOOSE ALL HER BENEFITS!!! How fair, understanding and compassionate does that sound? Answer = IT DOES NOT! Who cares if her physically disabled daughter (who is free to make decisions on her own) decides to marry an able bodied person, it’s her business to do so, right? It is just another form of DISCRIMINATION that is being allowed to operate openly under the SOCIALIST SECURITY SYSTEM! The Socialist Security system can’t even fix an outdated “RULE” that they use to justify discrimination against physically disabled people. I am working part time & retired . no deductions in my pay check. Will I receive an increase in my SSS monthly benefit after I file my income tax which includes my annual income from my part time job? Thank you for your question. For information about taxation of benefits, visit our Benefits Planner: Income Taxes And Your Social Security Benefits. For income tax related questions, we suggest individuals contact the IRS directly. Their toll-free number is 1-800-829-1040. I am 80 years old, If I begin working now, how much can I earn without paying taxes. It’s always a pleasure to hear from someone with exsetripe. longer sure whether or not this put up is written through him as nobody else realize such detailed about my problem. I will be 61 in May, I get SSI now,346. A month,so when am I eligible to apply,as I want to start it at 62. Will this be ok? ?.Thank you and enjoy day. Thank you for contacting us, Michael. Please keep in mind that the Supplemental Security Income (SSI) is a needs-based program that pays benefits to disabled individuals based on financial need. If you’re receiving benefits under the SSI program now, but you’re also insured and qualify for retirement benefit on your own record, you are required to apply for those benefits at age 62. I am 61 in May, I get 346. A month from ssi,can If I file now will they add that to my check? The earliest age at which you can begin receiving your Social Security retirement benefits is 62. You can apply for your benefits 3 months before you turn 62. Thanks! Hi Amy. A Social Security retirement benefit is calculated by using your highest 35 years of earnings. If you do not have 35 years of earnings, we will use all of the earnings on your record and factor in an annual total of $0.00 earnings for each of the remaining years. I am a federal retiree. After I retired under CSRS I worked as a contractor and paid into SS. When I fully retired I received SS, reduced substantially by law. In the 2019 2.8% cost of living increase there was no increase in my SS payments. They were $468/month in 2018 and remained $468/month in the SSA mailing for 2019. Did I get no cost of living increase? The 2.8% should have raised the monthly check to $481. Please explain. Thanks. Hello Dean. Unfortunately, and because of security reasons we do not have access to personal records in this blog and cannot answer your question at this time. One of our representatives should be able to provide you with an explanation. Please call our toll free number at 1-800-772-1213 for assistance. Representatives are available Monday through Friday, between 7 a.m. and 7 p.m. Generally, you will have a shorter wait time if you call later during the day or later in the week. Thanks!